(Update :13 July 2015 BookMyShow is new revamped way to book movie tickets on-the-go. It provides various discount codes and promo offers to get tickets at affordable prices. 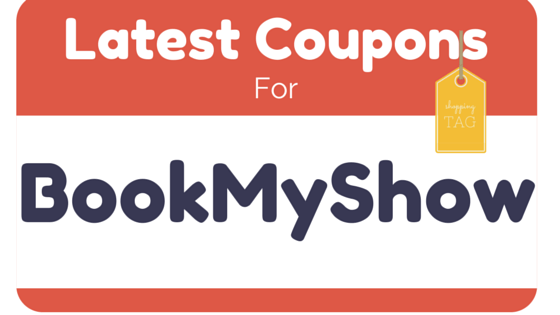 Today, we are going to share latest BookMyShow winpin coupons and promocodes of July 2015. Check out following deals to get maximum cashback on your BMS purchase. And here we go! Just use these codes at payment page to avail offer benefits. Just pay 399 rs on paybackbazaar and get bms voucher worth 500 rs. Just call toll free number 56016 and follow the instructions. You will get the voucher by sms. Maximum discount price is 150 rs. Send message BMSOFFER VCARD to 51818. You will be charged 3 Rs for sms. Within 5 minutes, Bookmyshow 50 Rs instant discount coupon code will be sent on your mobile number. Visit this link and purchase any chef’s basket recipe kit (starting from 250 rs). You will get free bookmyshow coupon worth 150 rs. Offer is valid in Mumbai & Thane only.